This was the Summertime in April 2017, we want some freshness in hot weather. We planned to go for Rishikesh on our weekend. 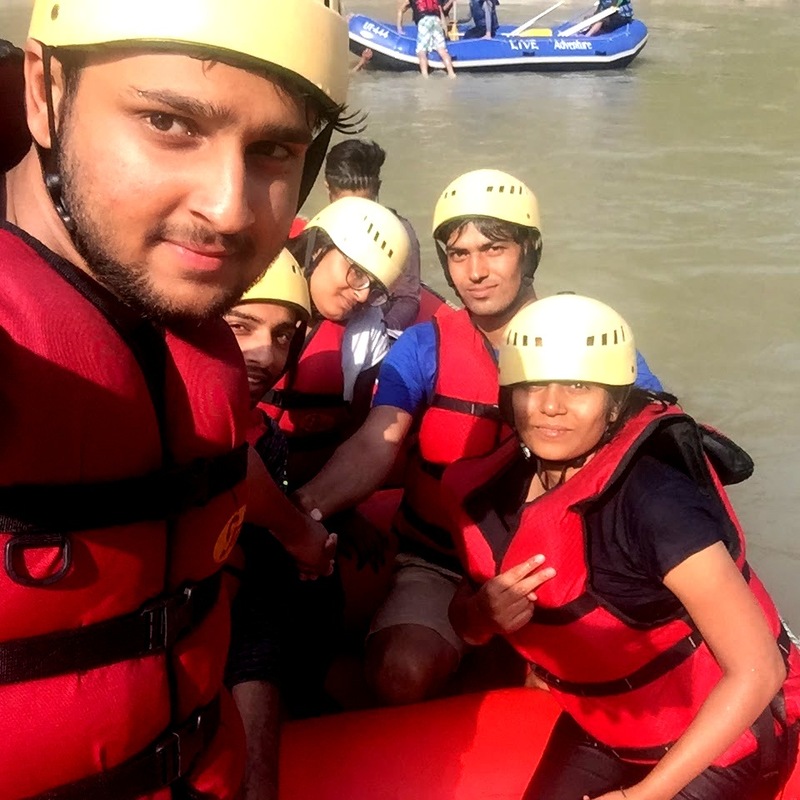 We were a group of five friends, so in hurry, we booked our river rafting and camping package through online. We hired a five-seater cab for our travel. The day had come, on 21 April 2017 at 11.00 pm, we catch our cab from Badarpur metro station. Our journey had started, I had taken a window seat. It was a tiring day in office but we did not sleep in the cab. We were talking more about Rishikesh and what to do first when we will reach. 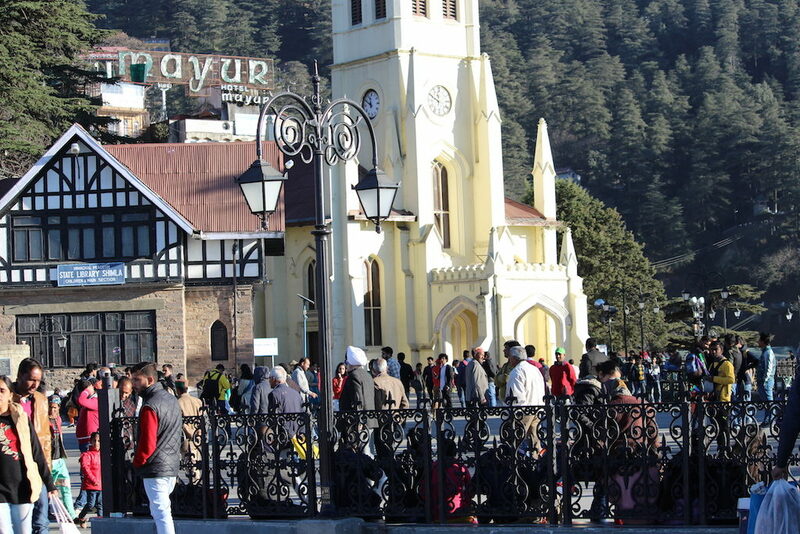 We met with many bikers and cab traveler on the way who were also going for their weekend trip. After a five hours driving, we reached Haridwar. 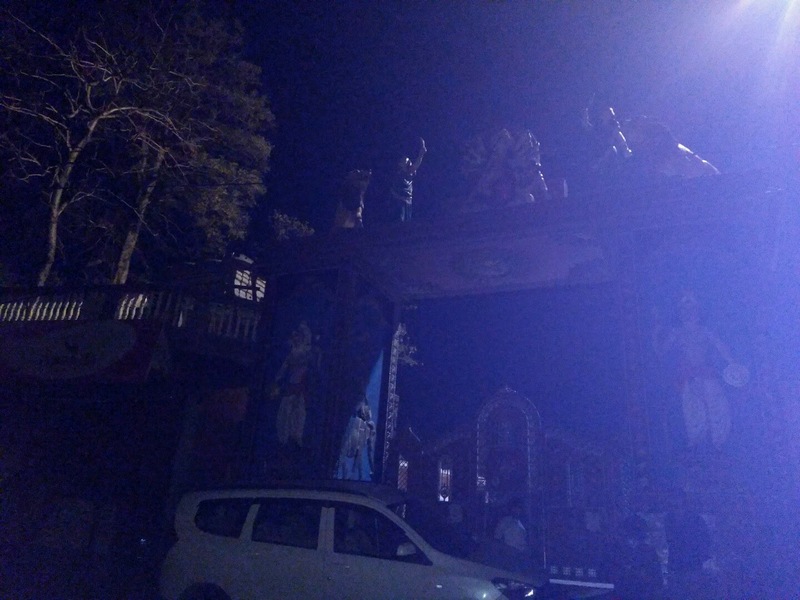 It was being 4:00 AM and we were at Kali Devi Temple. The gate was closed, dogs were barking, everywhere darkness. 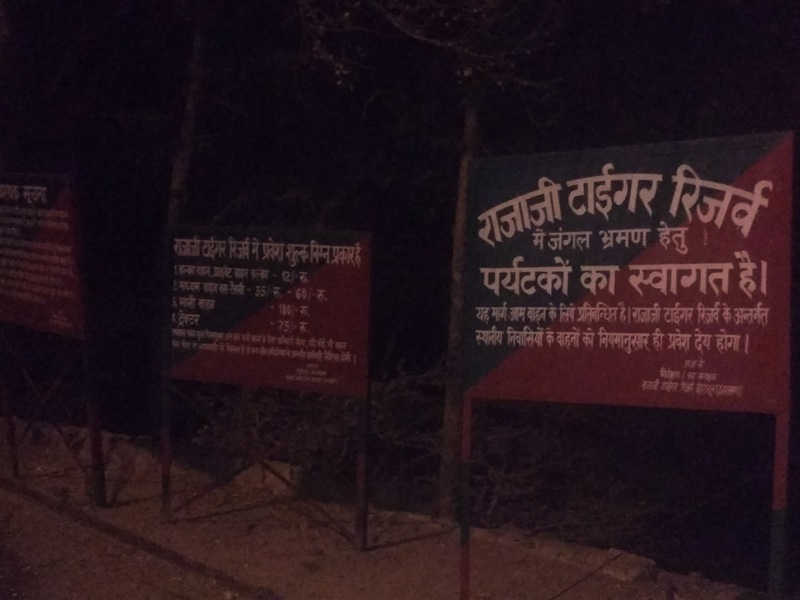 Our One side was Kali Temple and other side were Raja Ji National Park. We had waited till 5:00 am, now gate was open. We entered inside and become fresh. Now its time to take bath in river Ganga Which was just backside of the temple. We went downwards from stairs and take bath. The flow of water was very fast and chilled, the weather became stormy but we did it. We came into the temple where Aarti had been started and sudden rain also started. After this when rain stopped, we had taken some tea outside the temple. And started our trekking to Chandi Devi Temple. 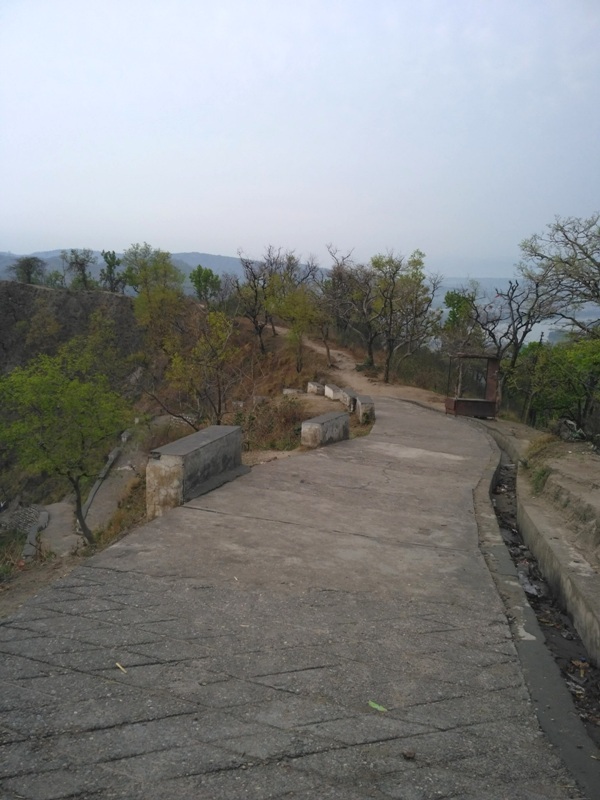 The trek way was little slippery due to rain, It takes one hour to reach here because this temple situated at the top of the hills Neel Parvat. 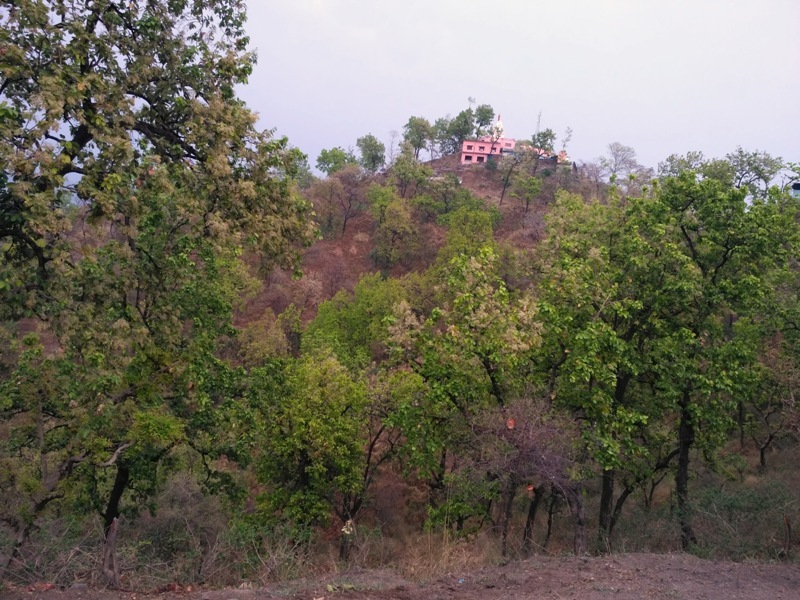 As the known story that Chandika Devi rested here for some time so it is called as Chandi Devi Temple. We had the prayer here and enjoyed the scenic beauty of this place. After this, we get back from here because we had to go Rishikesh too. It takes only 30 minutes to back. On the way, we met many monkies and birds. Now, this was time to leave Haridwar and way to Rishikesh. It was less than one hour run from Haridwar. At 2:00 pm, we were in Rishikesh. First, we took lunch here then went Shivpuri for our rafting. 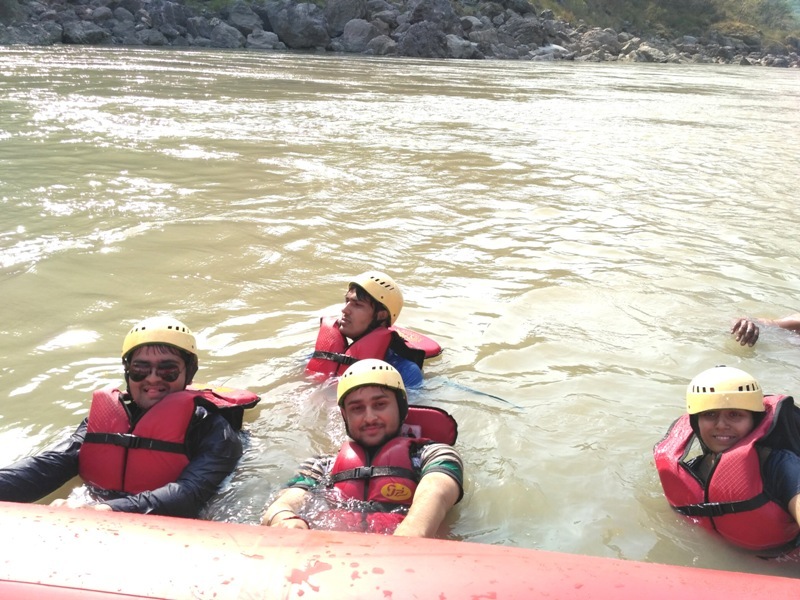 At 3:00 pm, we were started rafting in the river Ganga, after the instruction. It was my second time when I was doing this. I took a paddle and moving it in the opposite direction of the boat when our instructor said. Except us there were more people in the boat, we were enjoying. 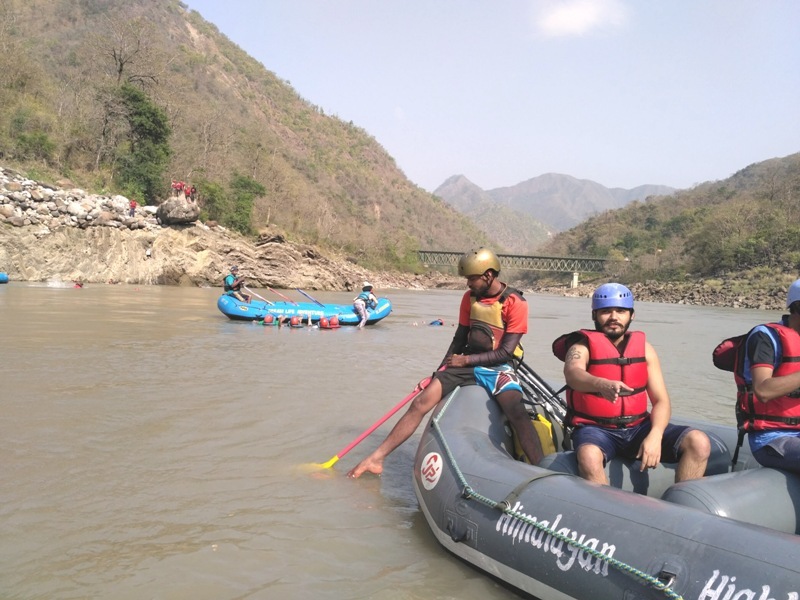 It was 18 KM long rafting so we met many rapids on the way and one was the biggest rapid in that we all members were inside the water for some time and a high jump. Here I had done Cliff Jumping too. It was my first experience to jump like this from a high point to into water, stopped breathing for few seconds. After finishing our rafting we were directly reached to our camp where we stayed. Our tent was nicely cleaned, bed-sheets on the bed properly, water jugs and some extra chairs outside the tents. Here took some evening snacks and rested for some time then took our dinner. There was bonfire, dance and music night too. After an amazing day, we slept in our tents. 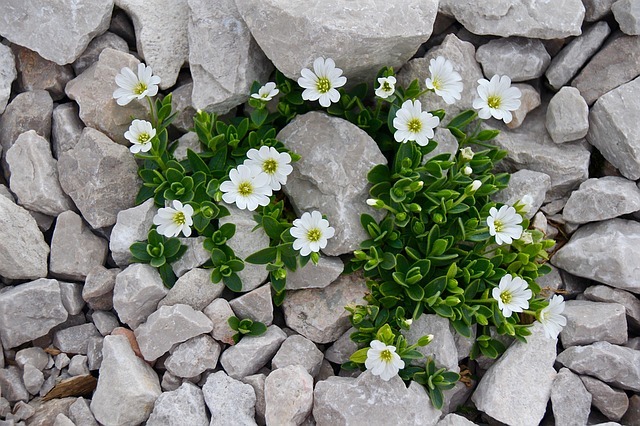 In the next morning when I wake up, the sunlight was coming on my tent directly, the birds making a melodic sound. It was an open sky surrounded by mountain and trees. People were sitting outside from their tents, some of doing yoga, and some of them chit-chatting. We got fresh and had taken our breakfast which was Aloo-Puri, toasted bread and tea. 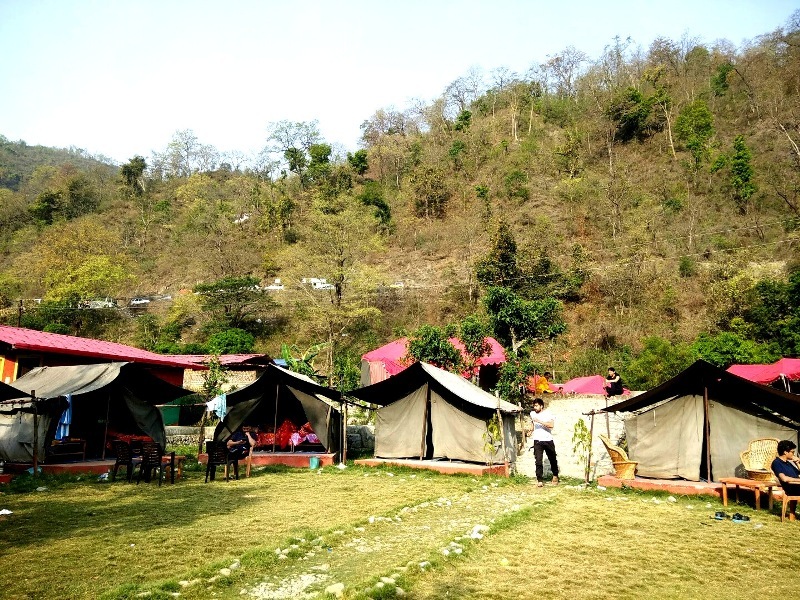 Soon we left our camp and on the way to Laxman Jhoola which was near to our camp. 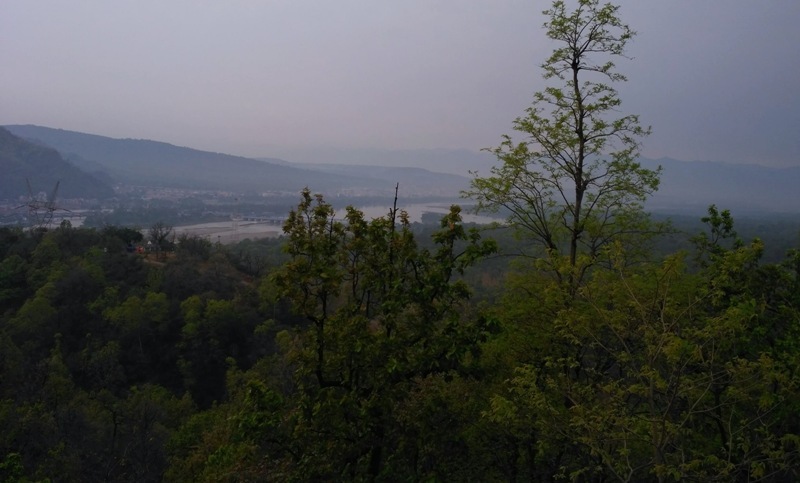 It is a way to cross the river Ganga from one side to another side.After this, we went for Ram Jhoola Which was also near to Laxman Jhoola.We had enjoyed the scenic view here. 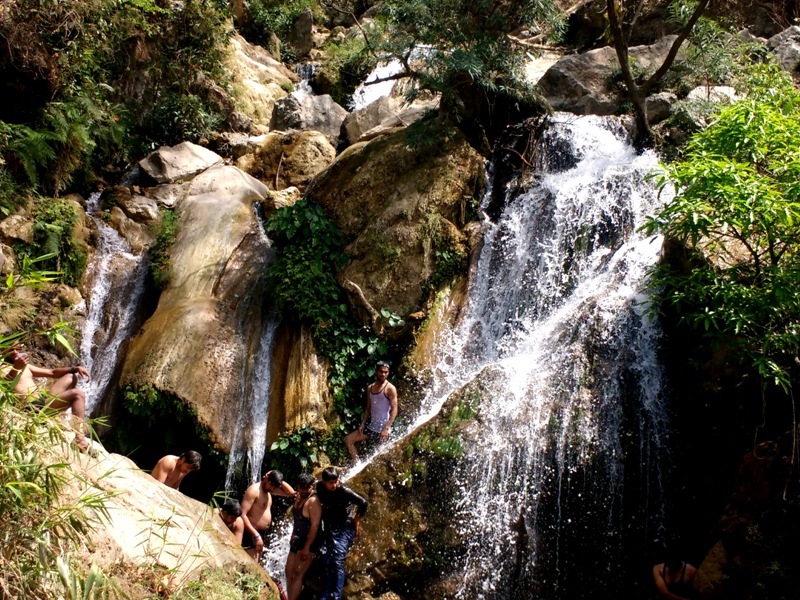 After this, we went for Neer Waterfall. 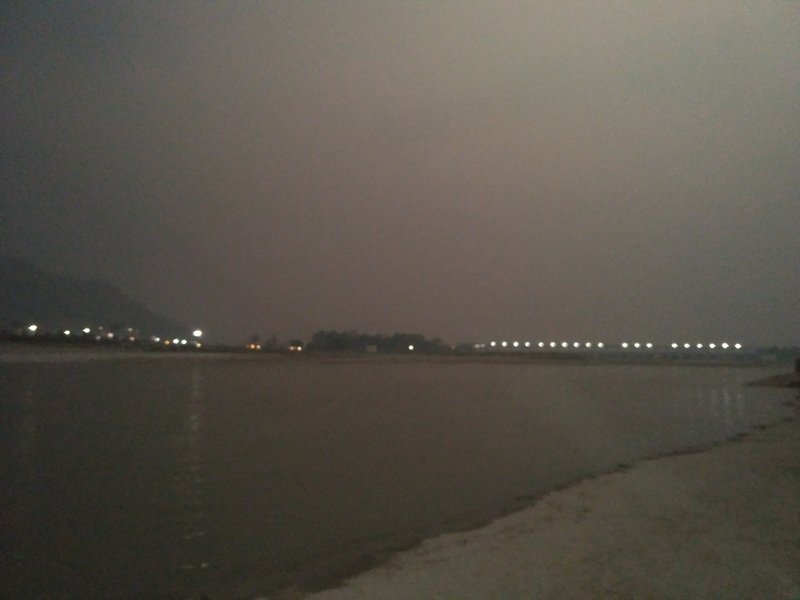 If you are visiting Rishikesh then you must go here. It was so beautiful, I had clicked many pictures here and spend almost two hours in this waterfall. 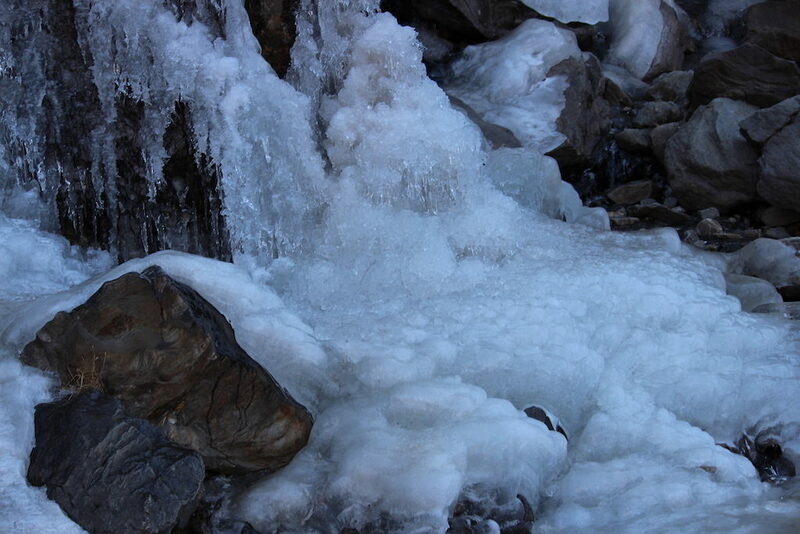 The water was chilled, I had continuously taken it on myself and enjoyed much. Now time to back to Delhi, We moved in our cab from Rishikesh to New Delhi. And after six hours run, we were in Delhi. It takes much time due to traffic and marriage. But no worries we reached till 9:00 pm. It was much happier a short weekend trip. We much enjoyed these two days.